I am dragging myself kicking and screaming into the 21st century as far as technology is concerned. As far as socially, I still remain comfortably in the early 20th century refusing to be tied to a cell phone. 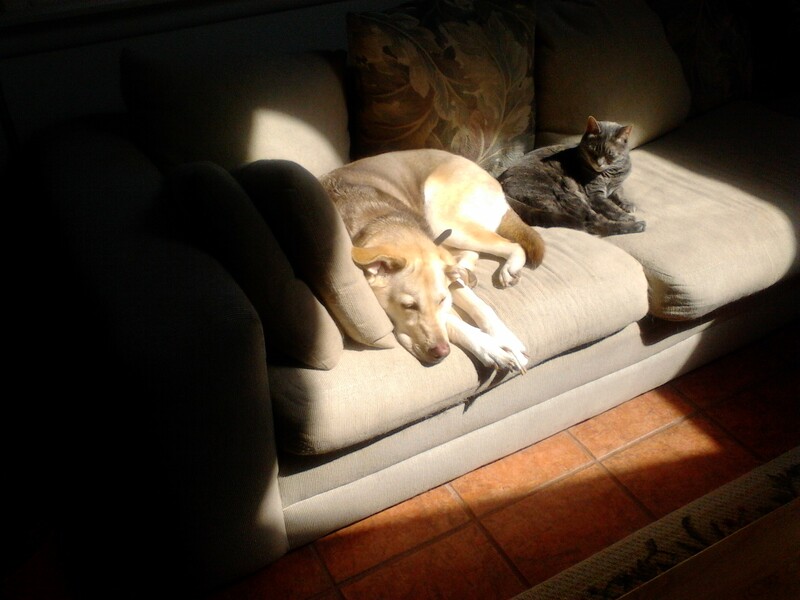 Here is one of the first photos taken with my new tablet showing our dog Millie along with our terror cat Sammy (Samantha) enjoying the sun on the first full day of spring. Next week, chance of snow. What has this to do with writing? Not a damn thing. Entry filed under: Update, Walt Trizna. Tags: pets. You got a tablet, are taking and posting pictures! Welcome to the 21st century! Congratulations! Millie and Sammy look great! I also got a laptop. Now I can write anywhere.